For most people who are getting married, finances and remarriage are the last thing on their minds other than how they are going to pay for the wedding and perhaps the first months rent. When you do not have many assets, it is not that big and issue, however anyone entering a 2nd marriage will often have assets that they bring to the marriage and then it becomes important to have some sort of understanding as well as a record of what those assets are. Young first time married couples usually do not have much in the way of assets, wills , obligations etc. People who are getting married for the 2nd time, may have existing families that need to be thought about and supported. They may have accumulated assets and they may have court ordered obligations that they need to meet. All of these kinds of things will have an impact on the new marriage from a financial perspective as well as an estate perspective. Wills may need to be amended or updated and agreements put in place specifying how assets are to be distributed should this be needed. Each person coming into the 2nd marriage or even a first marriage were the couple is older and have acquired assets, each person will bring various levels of assets and different assets as well. Family members on both sides may be concerned about their loved ones and how the estate will be handled. 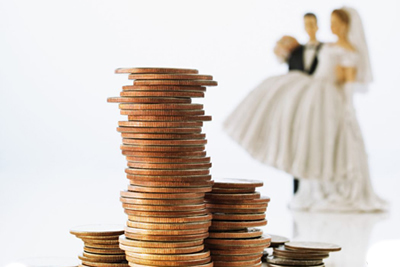 Finances and remarriage in either situation is an important consideration. While no one really wants to discuss this sort of thing. Life can be made much simpler when agreements are in place ahead of time. You can avoid expensive legal costs as well as family turmoil. 1. How will we merge our finances? Both parties may bring different savings, different debts and a variety of existing expenses into the relationship. How will you deal with these once married? As new debts are added while in the marriage, how will these be dealt with and shared while in the marriage? These and many more details should be discussed and sorted out prior to moving in together or getting married. 2. Is a pre-nuptial agreement or co-habitation agreement right for us? Sometimes it is just simpler if you have a pre-nup. There is no confusion and both parties understand what is supposed to happen in the event of a separation. How will you divide the assets in case of separation? 3. How will our children be taken care of when we pass on? Often when couples are getting married for the 2nd time, there can be children from previous relationships. Supporting blended families in the new marriage or cohabitation should be discussed in detail so that there are no misunderstandings afterword. 4. Do we need to set up a trust? Some people will set up trusts to support children from a previous marriage, including their education. While many people think that this is something only the rich do. It can also be a good financial tool to many people as well. For anyone who wants to make sure that there is at least some money that will be available to their children over a long period of time. 5. If we decide not to get married, what financial matters do we need to consider? In post jurisdictions one year is the measurement and the same rules apply as if you were married. However check with a lawyer or financial adviser regarding the specifics were you live. While for some people they may feel that this kind of discussion will detract from the wedding day. It is really solid planning and discussion that can take place with the assistance of a third party that will ensure that everyone’s interest are taken care of in a fair and supporting way. In our last post we were talking about some of our buddies who have to work long into their retirement years because of their poor finances associated with being married more than once. We decided in this post to look at your finances and 2nd marriages and what the extra expenses are associated with the 2nd or even 3rd marriage and why this could have such a large impact on your retirement plans. You may have to work a few more years to make up for the extra expenses that you have while dealing with divorce and getting remarried. Add kids to the mix from one or more marriages and you may as well just keep working unless you have an excellent job that pays very well in retirement. Here is our list. Do you have any to add? There are probably others , but these are the big ones that come to mine. 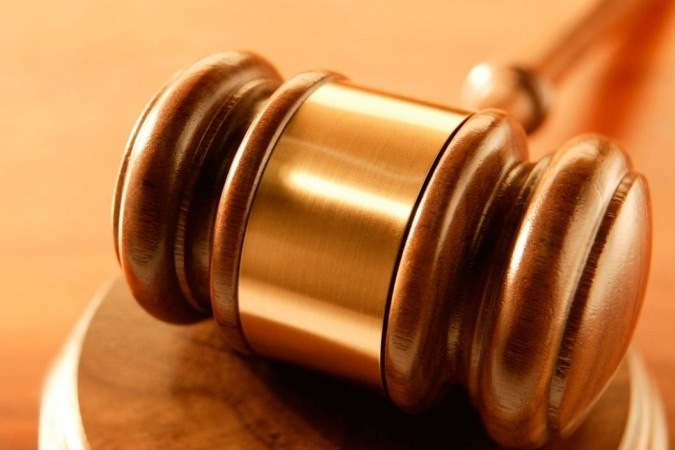 Note that the legal fees are within your control and can be reasonable. Or they can be huge if you decide to contest the settlement. From friends I have spoken to, legal fees can be really huge. One friend was so frustrated. They had just spent a hundred thousand dollars on legal fees. There was a lot of anger and both parties contested the divorce settlement. Another who was well aware of these costs, decided to use a person who is a marriage settlement counselor to help them resolve issues. There was still some cost that had to be dealt with. However the costs were much less than what the other person in the example experienced. It gets very complicated to say the least. Now you have sharing arrangements with a variety of kids and families, more gifts to buy at Christmas and birthdays and more expense associated with the family in general. If you happen to marry a working spouse, some of the extra expense mention above in our last section can be reduced somewhat. You can at least share the cost of some of the bills such as lodging expense and travel costs. Even retirement can be better if two people are supporting retirement costs. You still have all of the legal fee costs which is just money that is gone and can never be recovered or replaced. Although everyone wants to be in love and not worry about finances. The reality is that we must if we are to continue to live comfortably. Be very careful when you remarry. Protect yourself as well by having a pre-nup for both parties which spells out how your expenses will be handled. How your assets will be handled especially if there is a breakup in the future. Our friends who are married for the 2nd or 3rd time just have to face the music. They know that they are going to have to work for a while longer to make up all of these extra costs that they have. Retirement may not come as soon as they planned. They may not be able to do all of the things they planned during retirement. I was having coffee with a buddy the other day and we were discussing a lot of things that are going on around us, when we touched on an observation that we both have made over the years. We are both in retirement, we do not have a 1st mortgage let alone a 2nd mortgage, we both have long term marriages and we have only been married once. We were discussing how a number of friends of ours are on their 2nd or even their 3rd marriages. They are still working. Some even have young children from these 2nd and 3rd marriages which they have to support. They are around the same age as us and will be working for some time. One of the reasons that they are still working is the fact that they had to pay for expensive divorces. Even if there was no contest of the estates, and the settlement was 50-50, there still is a huge impact on the savings and retirement pensions of these people. They had to purchase another house to live in and make payments on a new mortgage. They lost the equity in the first home they bought and so on. There may examples like this that contribute to a negative financial situation for the person that is remarried. They simply do not have the ready cash and savings that many other people have who have not separated. In addition two people are always better than one when it comes to paying for lodgings such as homes, condos and apartments. This is true whether you rent or own your own place. Getting remarried is not all bad. If you marry someone who has a job and can support herself or himself, you now have two incomes to split the bills with and pay for the extra things that we all like to have. The net though is really what you spend on legal fees fighting the settlement and support costs that are incremental to what you would have normally spent supporting your estranged spouse or children. Avoid paying extensive legal fees if you can. Let’s face it , when you spend money on support for the family when you are married, it is spent usually a lot more efficiently than when you are separated. Sometimes when there is animosity between the parties, people tend to be a little more free spending their ex-spouses money than they normally would. They also try to win the kids affection by buying more expensive gifts and lots of them. Instead of being together they compensate with gifts which costs a lot more. 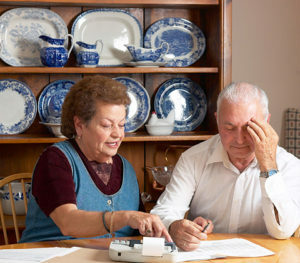 Retirement and paying mortgage payments in this situation is very difficult for many people. Consider that your friends are out on the golf course. Or traveling while you are still working because you had to start over with a mortgage and payments due to a divorce. Note that we are not suggesting consumers should stay together due to the financial issues. Rather we are trying to ensure that consumers are aware of the long term financial impacts when a divorce takes place. In addition to all of the other issues that they need to deal with during a divorce. Many of our friends who are the same age as us and retired are in a better situation that those people who are dealing with divorce and 2nd marriages. We are not suggesting that people should stay together because of these issues. If the marriage is not working then you may as well move on. Always have an eye on the long term goal of where you want to be when you retire. In our next post we will look at some of the areas that cost more. Why do our buddies really need to continue working to support themselves into retirement as well as their estranged families. We would like to hear your comments and let us know if you agree or disagree with our comments.